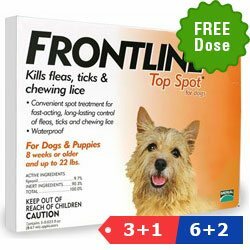 Frontline top spot is the best topical treatment that I’ve used to treat fleas and ticks on my dog Marco. It works instantly with no side effects. Thank you, Frontline Top Spot! Great spot-on to eliminate various types of parasites. I am content and satisfied that my pooch is free from these nasty pests. Mark was badly infested with fleas. I tried many products, it just increased the rate of fleas on him. Then my neighbor recommended me Frontline Top Spot. This is a reliable product, it killed all the fleas within 48 hours and without any side effects. I am satisfied with this product. I tried this product and found that it is working perfectly on my pooch. I showed it to the vet before using it, he said it would be great to use. 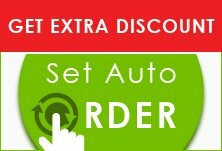 Thanks, Best vet care for giving a discount on this product.